IAEP would like to congratulate the EMS professionals with HealthEast Medical Transportation (HEMT) who recently voted in favor to join the union. HEMT originally filed for election almost two years ago, with their company blocking the election twice during this time. 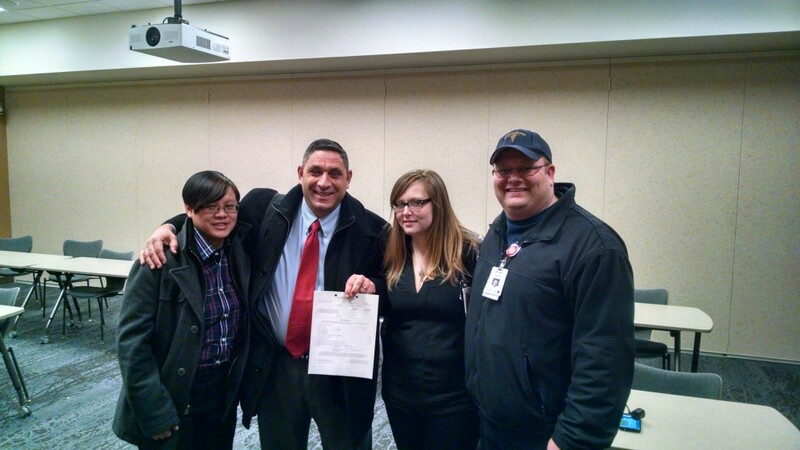 After months of hearings and re-petitioning, these professionals finally won the right to have another election. It is now our pleasure to welcome them to our growing family! Congratulations again to these new members on becoming the latest addition to the growing IAEP family. IAEP Organizers Dary Sardad and Laurie Jow celebrate with Healtheast leaders following the vote count!